< We believe in giving plants plenty of root space, so, for example, we use locally-made (in Leominster) hanging baskets which hold more soil than regular 10” hanging baskets, and we use 4 ½” pots instead of regular 4”. If we have to buy it as a baby plant it is usually $5.00. Also, we don’t believe in the .99 gimmick. Although it is psychologically proven to make you think you are spending less than you really are, we’d rather not be trying to trick our customers. We do re-use cleaned and sanitized pots and we do put the correct price on top of any old labels. 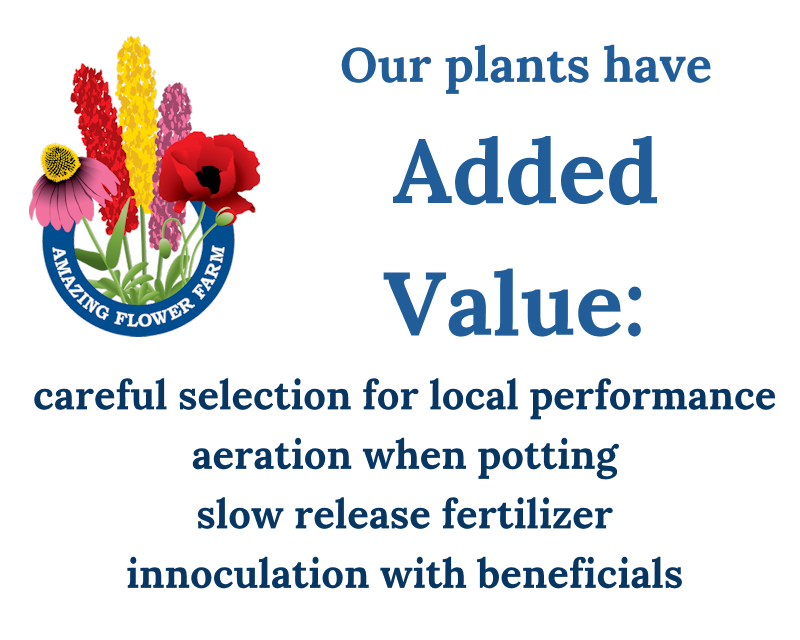 When you buy your plants at Amazing Flower Farm, you get a lot of extra value. 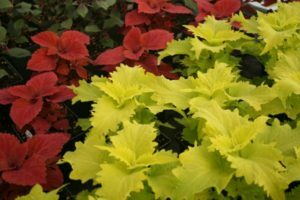 We take enormous care in starting plants. We inoculate them with micro-organisms that encourage healthy root systems, and all of our plants have their own resident communities of beneficial organisms that help fight certain pests or diseases, giving the plants you buy from us a head start when you put them in your gardens or planters. 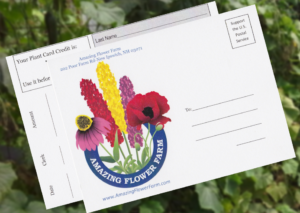 AND, if you take advantage of our Plant Card, you earn 12% credit on everything you buy throughout the season, which you can then use to buy any plant or Amazing Flower Farm product you want when you receive your Plant Card back in the mail. So, doing the math, a $6.00 plant will end up having cost you only $4.80, or a $4.00 plant will have effectively cost $3.52, as long as you redeem your Plant Card.